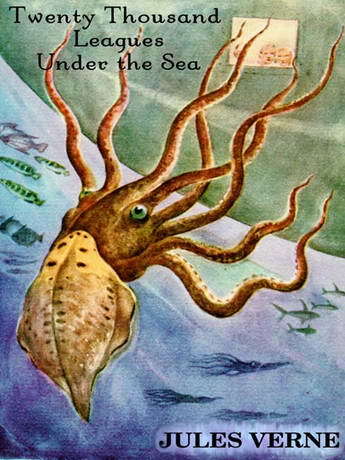 Classic Audio Book CD - Translated by F. P. Walter - Captain Nemo, The Nautilus, and the mysterious depths of the ocean. Unforgettable. Come join an adventure that will roam among coral and pearls, sharks and giant squid, with wonders of biology and engineering that will thrust us from the Antarctic to Atlantis. Whether voyaging a yarn of the glorious unknown, a tale of the darkness that grips the heart of men, or a reinterpretation of Homer’s Odyssey, we’ll all enjoy the fantastic trip. Seasickness optional.